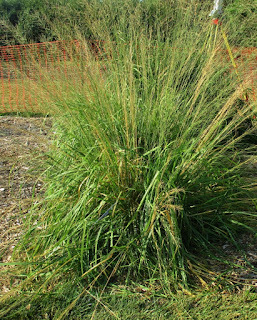 Showy warm season grasses flower in late summer and fall. has no flowers and growth has slowed. Here's why you shouldn't cut them back! Grasses should not be cut back in the fall. Leave the flowering stems up to enjoy through the winter. Fall cutback may increase the chance of winter injury on grasses and is not recommended for Minnesota gardeners. Birds, bees and other wildlife appreciate the cover of grasses in the winter. If you have a grass with few flowers, or shorter plants with dead sections, these are indications that the plant should be divided, a good project for next spring. Yellow stems showing mice damage on purple moregrass, Molinia. If you notice dead or yellow stem on some of your grasses, check closely for mice or rodent damage. Mice love to live under the protection of thick bunch grasses, like prairie dropseed. Mice bait or repellents may be necessary if you see significant damage. 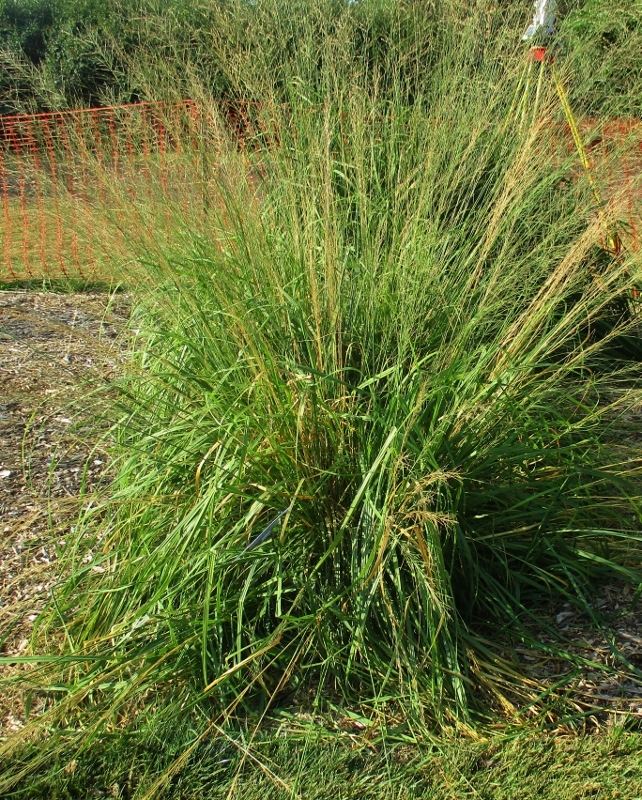 Grasses that are floppy and falling over may need to be moved to full sun locations or have reduced water or fertilizer. Once established most grasses need little supplemental water and actually grow better with no additional fertilizer. 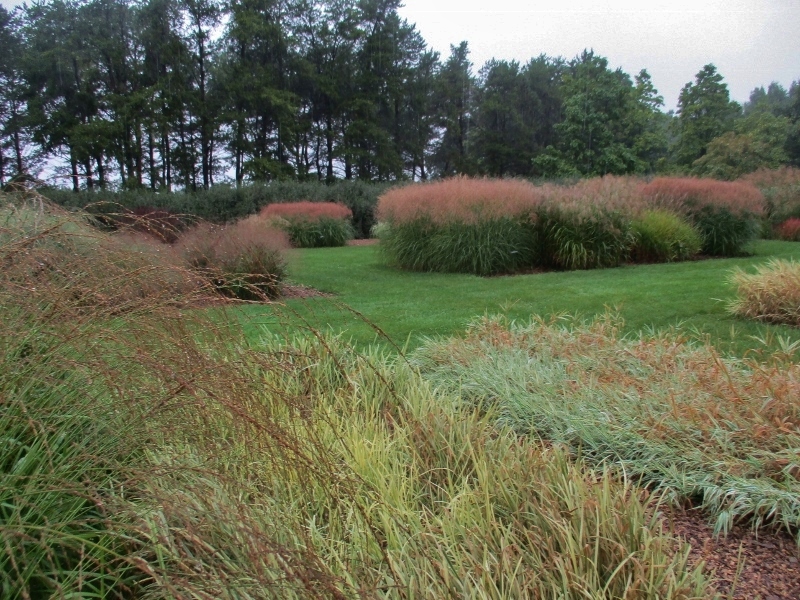 For the most variety and longest season of bloom, plant both cool and warm season grasses. Cool season grasses like Karl Forester feather reedgrass and tufted hairgrass, bloom in late spring and early summer and their tops are brown by the fall. 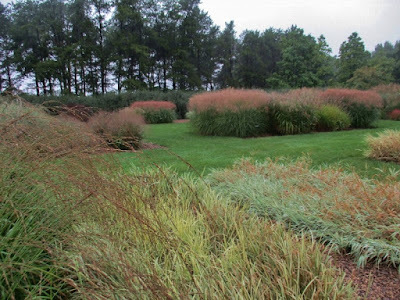 Warm season grasses like miscanthus and little bluestem flower in late summer and do not turn brown until frost.